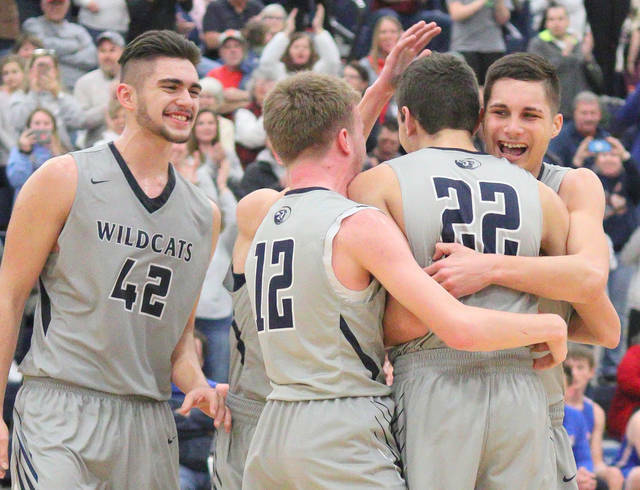 BLANCHESTER — On a night when Blanchester played its best team basketball of the season, its star sophomore etched his name in the history books. 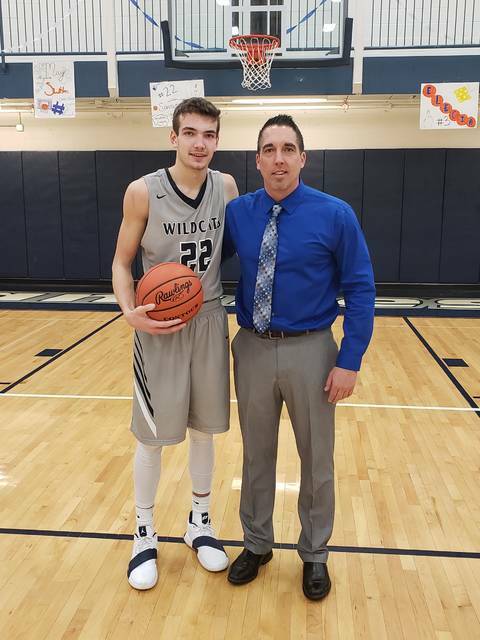 Brayden Sipple became the third BHS player to score at least 1,000 career points as the Wildcats dominated Williamsburg 83-62. 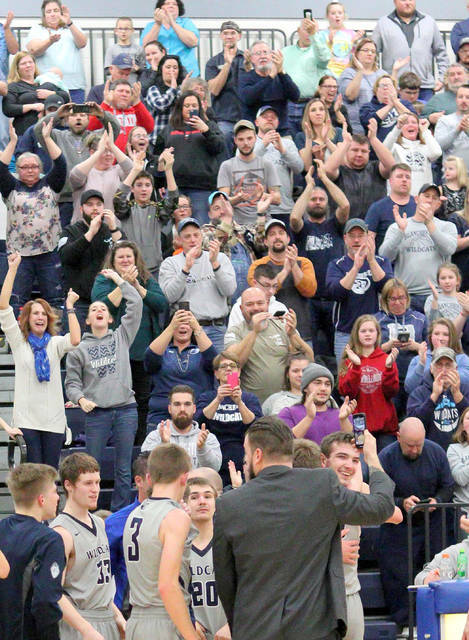 Sipple needed 27 points entering Monday’s showdown to achieve the milestone. He had 21 points at the break as Blanchester led 41-23. 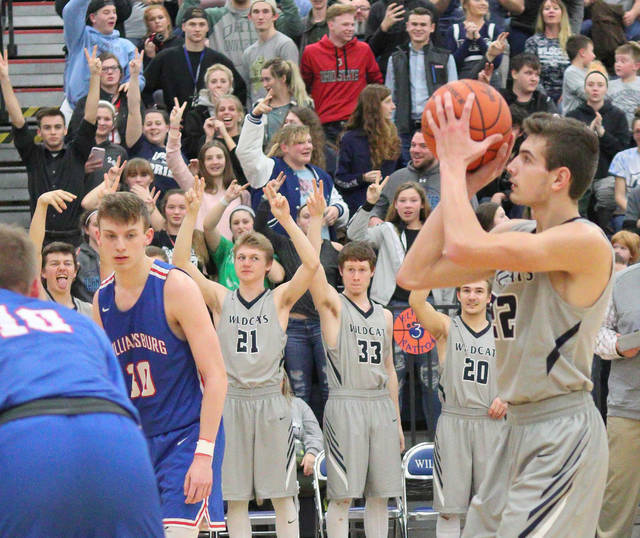 Sitting on 24 points, Sipple was fouled in the act of a three-point shot attempt with 1:47 left in the third. As he stepped to the line, he knew the milestone was within reach. 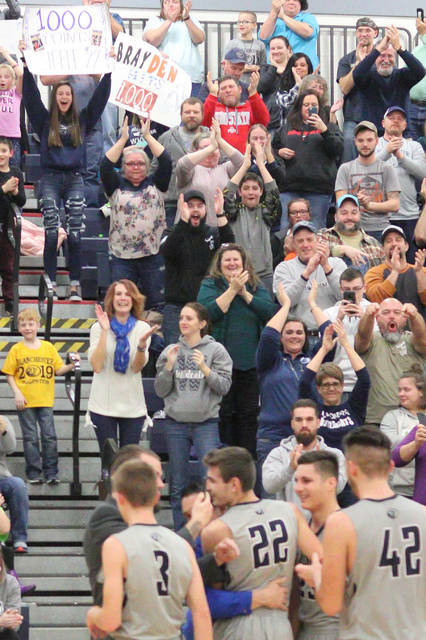 Sipple knocked down all three free throws, and the building erupted. His teammates mobbed him on the floor, and he was presented with the game ball. “We were contemplating how we were going to make this unfold,” BHS head coach Adam Weber said. “We came up with all kinds of schemes, but then the perfect scenario: he gets fouled shooting a three. It was a dominant team effort for Blanchester (9-10 overall, 6-5 SBC), who had just four turnovers at the end of three quarters. Tanner Creager added 17 points while Jacksson Waialae scored 13 and had seven assists. Hunter Bare just missed double figures with eight. Trent Kreimer knocked down five threes for Williamsburg (7-13, 7-5). He led the Wildcats with 18 points. Dyllan West added 12 points. Drew McKibben, who had 18 in the first meeting of the season, fought through foul trouble and was held to just nine points. Sipple’s 30 points gives him 1,003 career points with at least three games remaining in his sophomore year. Only career scoring leader Todd Lane (1,124 points between 1989-1992) and Bob Jacoby (1,120 points 1948-1952) stand in front of Sipple. On youth basketball night, quite a few future Wildcat basketball players got to witness history. “He means so much to this town, let alone the program,” Weber said. “And his teammates tonight … you couldn’t have asked for a better display of offensive efficiency from everybody. So he did not have to press. (62) WILLIAMSBURG (fg-3fg-ft-tp) Dan Jones 1-1-0-3, Cameron Vaughn 2-0-0-4, Loghan Kelley 2-1-0-5, Trent Kreimer 6-5-1-18, Alex Moore 1-0-1-3, Dyllan West 6-0-0-12, Nick Boland 3-1-1-8, Drew McKibben 2-0-5-9. TOTALS 23-8-8-62. (83) BLANCHESTER (fg-3fg-ft-tp) Ian Heeg 3-0-1-7, Tanner Creager 7-3-0-17, Brent Hopkins 1-1-1-4, Brayden Sipple 8-2-12-30, Jacksson Waialae 5-3-0-13, Jay Ashcraft 1-0-0-2, Hunter Bare 4-0-0-8, Matthew Grogg 1-0-0-2. TOTALS 30-9-14-83. Matt Sexton covers high school sports for the News Journal. Follow him on Twitter @MattSextonPxP.